Yesterday I had the pleasure of having a cup of coffee with Mr Michael McAllister, the Area Manager for Greggs in NI. Michael joined in March this year, after spending 23 years working for Asda. He is a local man and understands the NI economy and tastes well. We met at the Boucher Crescent store which opened in March this year. These stand alone shops are independent of the ones in the Applegreen service stations. Mr John Gregg started in 1941 as Gregss of Gosforth in Gosforth High Street, Newcastle-U-Tyne. That was the 1st shop (round the corner from where I lived at University and I was a regular!!). His son took over and embarked on a massive expansion. There are now approximately 1900 stores across the UK. Here there are 3 so far (Royal Avenue, Boucher Crescent and Dargan) with a big 44 seater opening mid September in Castle Lane and then a big 44 seater in Donegal Square West with Head Quarters upstairs, later in the year. The third generation Mr Gregg is also in the family run firm. Michael was telling me that thrice a week they receive deliveries of frozen savouries, pastries and bread and baguette dough from their Clydesmill bakery in Edinburgh. The bread and baguettes are baked fresh every day and made into delicious sandwiches and filled baguettes using pre planned recipes with strict measures of locally sourced ingredients. These are all planned by the Technical Team in the Lake District, who also look at allergens, nutritional values and ingredients. They have developed Healthy Choice sandwiches at less than 400 calories and are launching the same in savouries soon. The first is Breakfast Club for Schools. Each store would choose a school (which meets certain criteria) to help and would supply them with bread, fruit etc for their breakfast. In the case of the Boucher Crescent store the school is St Joseph’s Primary and the Head would come pick up thrice a week. Michael would also pay them a visit. He was very proud to announce as a result of this initiative the attendance has gone up by 75%!!!! The second is at the end of the day’s trading any unused products are packed and given to their nominated charity, which is Home Trust NI. 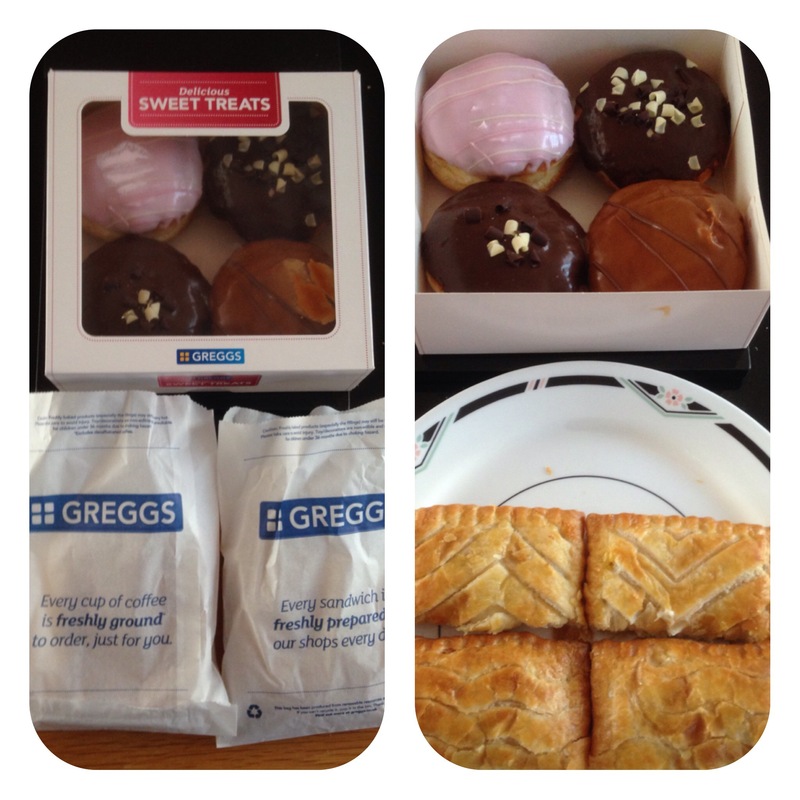 After our Fairtrade coffee which was delicious, Michael presented me with my favourite Greggs product, a chicken bake and a cheese and onion bake for my wife and a selection of donuts. The bakes didn’t take last long and were delicious and the donuts went down a treat with a cuppa tea, my favourite was the caramel one. 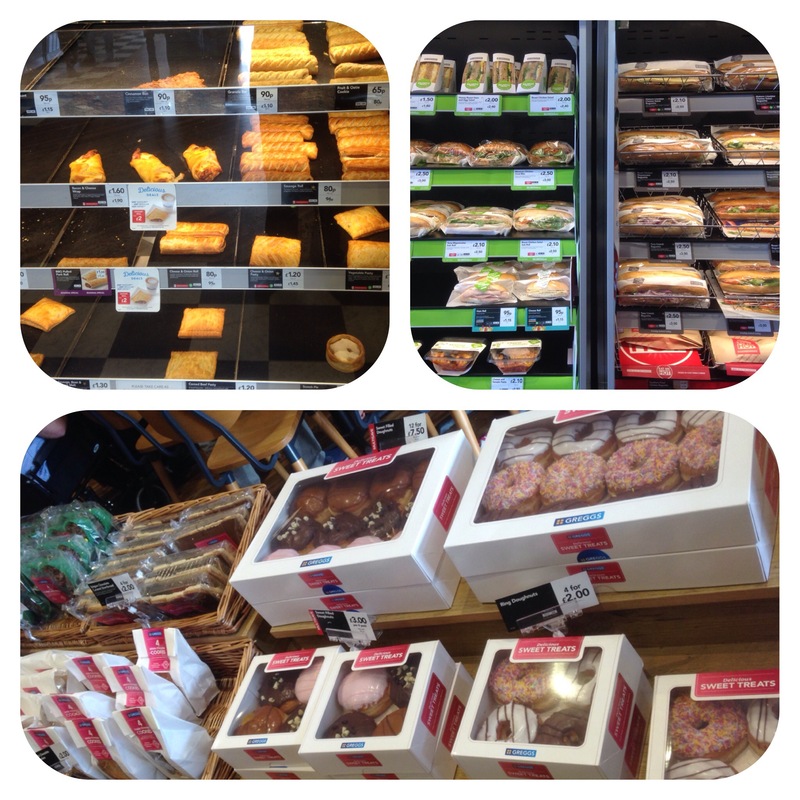 Greggs will do well in NI, they cater for everyone from breakfast, tea breaks, lunch, snacks, parties and evening meals. Their pricing structure is excellent and their staff training and care is brilliant. 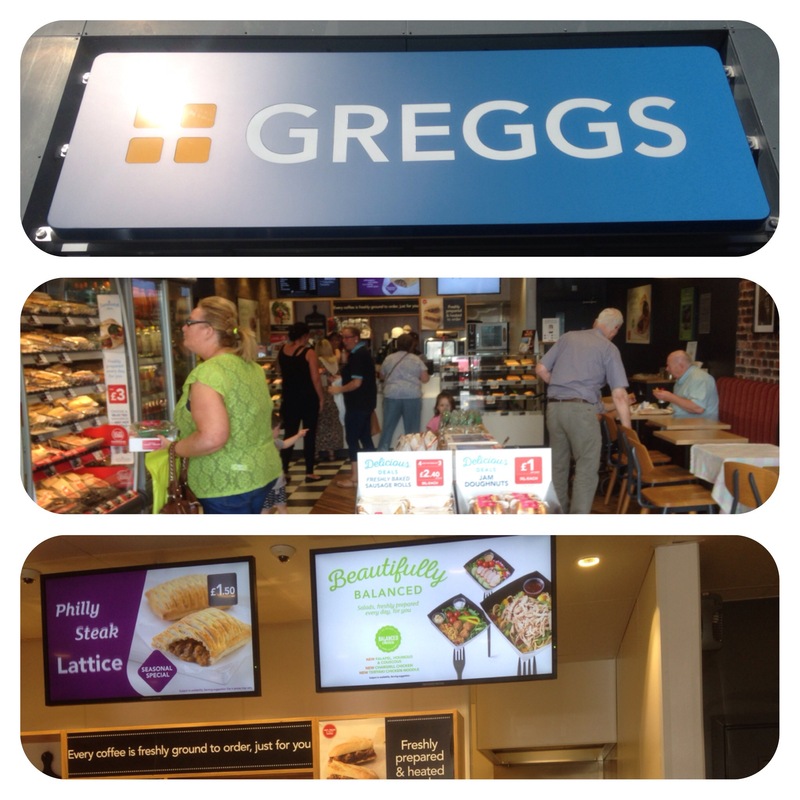 There is also an app for Greggs and stores have free wifi voted best on the high street. Point of note the savoury display units are lit up and are for display purposes only, they do not keep the savouries hot, as we in NI are used to. The staff do a sterling job of baking little and often. I would like to thank Michael and the team at Boucher for the time and the treats! !